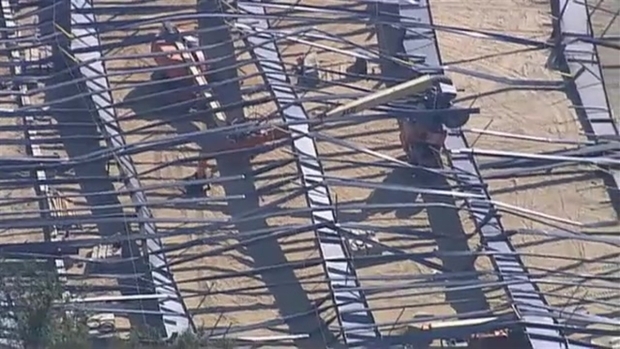 Six construction workers are hurt after an athletic building under construction collapsed at Bryant University in Smithfield, Rhode Island, and a university spokeswoman says none of the injuries are thought to be life-threatening. Spokeswoman Elizabeth O'Neil said it happened around 8:15 a.m. Tuesday when the workers were in the process of installing steel beams on a new indoor practice facility and the beams collapsed. All six workers were taken to Rhode Island Hospital. "They were all muscular and skeletal in nature, non-life-threatening. Everybody was conscious when we transported them," said Smithfield Fire Chief Robert Seltzer. The company listed as managing the construction is AZ Corp. Construction Management, which is based in North Stonington, Connecticut. A woman who answered the phone said the company was "not aware of any building collapse," and was not taking any calls. Construction began on the 78,000-square-foot building in May, and it was due to open in 2016. 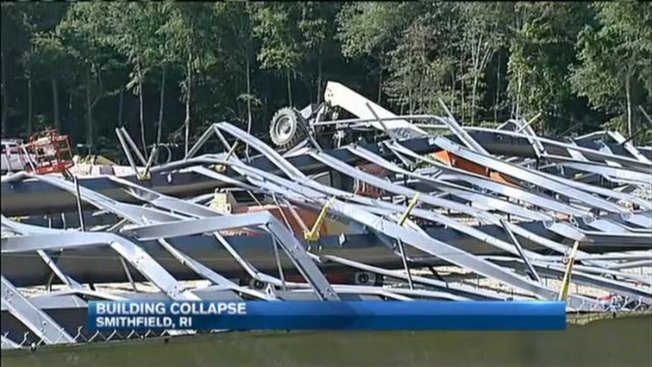 The cause of the collapse is unknown. The university is 12 miles outside of Providence. Classes are scheduled to begin Sept. 8. A statement from the university reads in part, "We are cooperating fully with authorities and will advise as more facts become available to us." It adds, "This incident will have no impact on the opening of school as students return this weekend and classes begin Sept. 8."